Welcome to Rola cottages, two lovely cottages perched between the mountains of Snowdonia and Cardigan Bay, at the edge of Snowdonia National park. This idyllic location provides you with spectacular sea views, and panoramic sunsets. The surrounding countryside has abundant walks which are unspoilt, exhilarating and serene at the same time. The cottages are family, child and pet friendly. 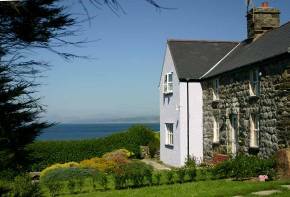 We provide three cosy stone cottages each with stunning views over the sea, with two available to rent. Overlooking the sea and beach enables you to enjoy the stunning scenery and rich supply of wildlife at close quarters. The sea is frequented by dolphins, porpoises and seals. In the sky above, Buzzards, Red Kites, and Peregrine Falcons are regular visitors. 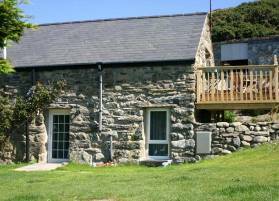 The three cottages have been converted to have their own character and style. We have something for everyone, whether you want a romantic getaway for two or a larger group we are confident we can provide you with stunning scenery at the perfect location to have the holiday to remember. This traditional farmhouse cottage with 4 bedrooms that sleep up to 7 people, is ideal for families or small groups, Rola was originally a farmhouse, built of local stone and slate. 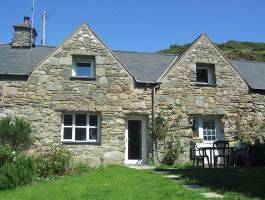 It was extended to the north in the 1980’s to provide a spacious comfortable cottage with a fully equipped kitchen. From the comfort of the lounge you can see the north and west, along the beaches of the north Wales Coast, to Snowdon in the distance. Private gardens provide breathtaking scenery to enjoy a drink, eat and relax in. Or alternatively enjoy the log burner with original beamed dining room and kitchen. A cosy cottage with 3 bedrooms that sleep up to 4 people, furnished in a country style and tastefully decorated in tranquil sea shades. The inglenook fireplace and log burner provide all year warmth. A private decking area has been created to sit and enjoy the sea views to the accompaniment of birdsong you will relax taking in the fabulous view along the beaches of the North Wales coast to Snowdon in the distance. Beautiful sunny days return with Spring at last! The private path to the beach has suffered wind and rain damage, the erosion makes it unsafe at the moment.